International Tax Primer provides an accessible and comprehensive guide to the fundamental aspects of international taxation with an introduction to the policies that countries seek to advance with their international tax rules. Tax practitioners, multinational companies and national tax authorities have relied on this indispensable resource since its first edition nearly two decades ago. 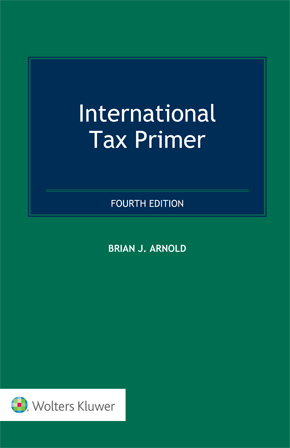 The Primer provides the reader with an introductory analysis of the major issues that a country must confront in designing its international tax rules and coordinating those rules with the tax systems of its trading partners, with numerous examples drawn from the practices of both developed and developing countries. This fourth edition follows the format and sequence of earlier editions but adds details on ongoing developments surrounding the Organisation for Economic Co-operation and Development’s (OECD) base erosion and profit shifting (BEPS) project, updates to the OECD and UN Model Conventions, the 2017 US tax reform, the EU anti-tax avoidance directive and continuing issues concerning the digital economy. challenges posed by taxation of income derived from the digital economy. With examples of typical international tax planning techniques and descriptions of the work of the major international organizations that play an important role with respect to international tax, the Primer remains the preeminent first recourse for professionals in the field. Although of greatest value to students, tax practitioners and government officials confronting international tax for the first time, this book is sure to continue in use by tax professionals at every level of experience and on a worldwide basis. The Primer provides the reader an easy-to-read understanding of the basic concepts and structural features of international taxation that form the basis for all countries’ international tax rules obtaining an understanding of the tax policy principles underlying the international tax system.